Join host Frankie Picasso and yours truly this Tuesday, September 12, on The Good Radio Network’s broadcast of Mission Unstoppable, when we’ll interview documentary filmmaker Renée Scheltema about her excellent new release, “Normal Is Over” (web site, trailer). 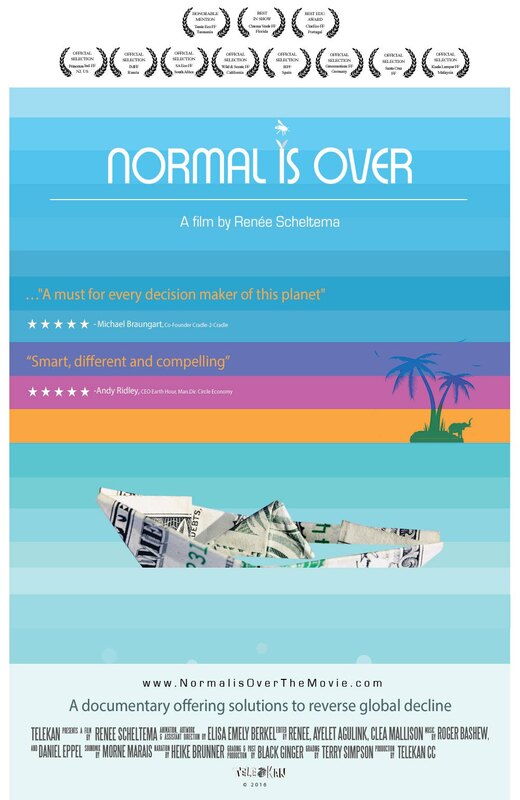 This engaging film presents an interesting take on sustainability and the effects of climate change, enlightening viewers about the real cause of this phenomenon. 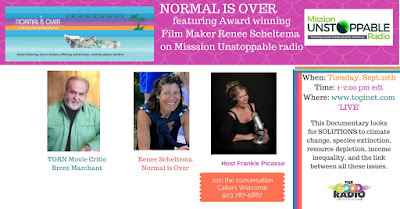 Tune in live at 1 pm ET by clicking here, or listen to the on-demand podcast thereafter. And, for a review of the film, click here.